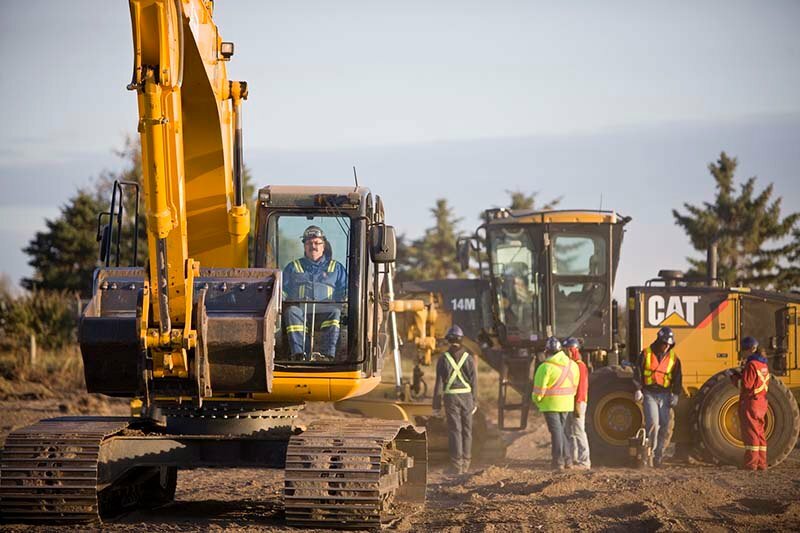 Operating Engineers or Equipment Operators operate and maintain a variety of powerful equipment ranging from bulldozers, backhoes, and earthmovers to very large power shovels and cranes. They also lubricate, maintain, and perform minor repair and adjustment to the machinery. Because almost all the work is out-of-doors, working conditions are governed by the weather. The work is physically demanding and operators are subject to jarring, jolting, and continuous noise. Working with the equipment offers danger of injury and requires constant attention. Operators must have good eyesight and better than average coordination in order to operate both hand and foot levers simultaneously. They must have good judgement in order to perform complicated tasks, and must be able to work closely with other crafts without constant supervision. Skilled operators are constantly alert and observant of their surroundings. It is generally accepted that the more formalized training programs give more comprehensive skill training. Recommended high school courses include English, algebra, geometry, general sciences, and mechanical drawing. 1st year: 55-60% of Journeyperson’s Wages. - 2nd year: 65-70% of Journeyperson’s Wages. - 3rd year: 75-80% of Journeyperson’s Wages. - 4th year: 85-90% of Journeyperson’s Wages.